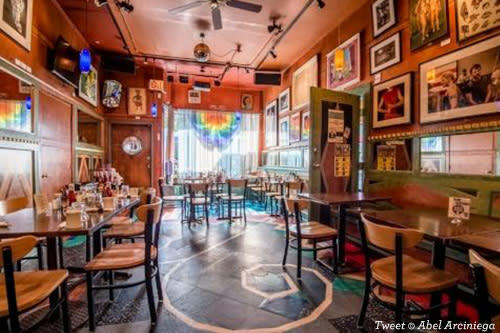 More than being the center of Chicago’s entertainment scene in the 1920s and 30s, the Uptown neighborhod is known for its vibrant mix of history, culture and food. 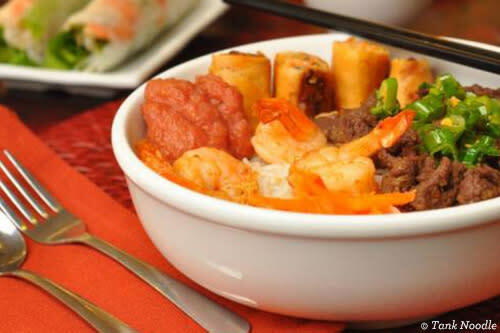 Featuring restaurants serving home-cooked recipes passed from immigrants that settled in Chicago generations ago, Uptown is a place every foodie should go for a taste of Asia and cuisines from the rest of the world. Here are 10 places we love in Uptown&apos;s dining scene, all serving unforgettable dishes under $10. With a menu teeming with options, it’s hard to choose just one thing to eat at Tank Noodle. Fans of the longtime family-owned Vietnamese restaurant in Chicago each have their own favorites, but ours are the spring rolls ($4.95). They&apos;re light and tasty and served quickly. But since you&apos;re probably not going to go for just one dish, we&apos;d also recommend the banh mi, which will also cost you less than $10. Not many are familiar with Ethiopian food, but Demera wants to change that. 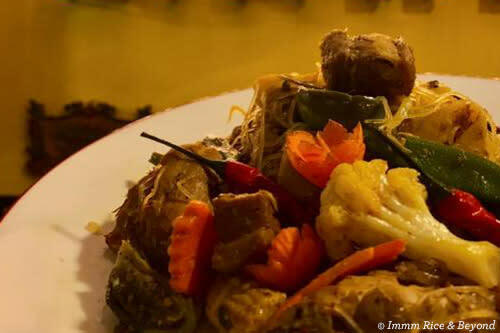 For those that love spice and are adventurous with food, pay a visit to this Uptown gem. Recommendations include their messob, which is a platter filled with a variety of Ethiopian dishes you can try and eat with your hands (but costs over $10 for all the meat you can eat). To stay on budget and get your Ethiopian cuisine initiation, you should try the lunchtime combo ($8.95), which is similar to a smaller serving of the messob and allows you to choose from 4 different items. Carmela&apos;s is a small hole-in-the-wall place in Uptown that always boasts a line. But Carmela&apos;s is worth waiting for, notably for the al pastor burritos ($5.25), which ooze with fillings! With a menu featuring over 100 dishes, it’s hard to choose which one of Lao Sze Chuan&apos;s we like the most. Numerous Chinese favorites such as dumplings ($7.95), cold noodles in sesame sauce ($7.95) and egg drop soup ($2.95) are each well under $10. Breakfast food at any time of the day is a treat, but is most enjoyable at Tweet. This spot is constantly packed, thanks to a large breakfast menu with gluten-free, vegan and vegetarian options. The gluten-free pumpkin pancakes ($9) are a must-order, served with pumpkin, cinnamon and whipped cream. Please note that only cash payments are accepted at Tweet. Family-owned Sun Wah BBQ has been serving Hong Kong–style BBQ to Chicagoans since 1987. The prix fixe Beijing duck dinner has people making their way up to this establishment, but their BBQ over rice plates ($6.50), with choices of chicken, duck or pork, are the perfect option under $10. Sol&apos;s is one of just a few Korean restaurants in the area. Though still quite new (less than 2 months old as of this writing), it’s been growing a following for its out-of-this-world Korean fried chicken and mind-blowing bibimbap. Since summer is here, check out their bingsu ($10), a boat-sized iced dessert with green tea, milk and oreos. There is so much more to Thai food than pad thai, and it’s Immm’s aim to showcase the best of Thailand&apos;s street-food scene. With a majority of menu items at $10 or below, you’ll have a field day helping yourself to everything. Try the lunch special, which allows you to choose two items from the menu for $9.50. Pokiology allows you to create your own poke bowls for around $10 a bowl, including taxes. This amount can go up depending on the toppings you choose (which include really fresh cuts of tuna! ), but generally, the poke bowls at Pokiology are a good value for money and a quick takeout fix (especially if you&apos;re in a hurry). When you&apos;re in the mood for something light and healthy, give Loving Heart a try. Although Chicago isn&apos;t hurting for vegan options, the Green Deva salad ($8.65) is definitely worth the trip to Uptown. The salad comes with a side of protein, and the Korean BBQ is the perfect complement. With $10 in your pocket, how would you spend it in Uptown? We&apos;d love to hear your thoughts! Tweet your best suggestions to @ChooseChicago.